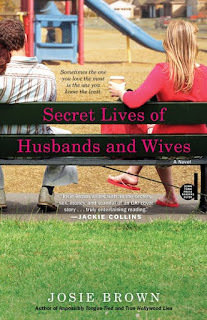 My guest today is friend and fellow writer Josie Brown, whose new novel, Secret Lives of Husbands and Wives, comes out on June 1. 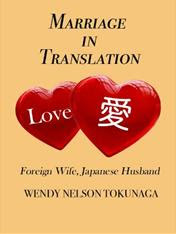 The book explores the perceptions and deceptions affecting two marriages. The Harpers, Lyssa and Ted, are socially entrenched in the tony Silicon Valley town of Paradise Heights, California, unlike DeeDee and Harry Wilder, who are admired by all, but politely aloof to their neighbors. Then word gets out that DeeDee has walked out on Harry and their two children. Gossip runs rampant through the Heights. Was DeeDee having an affair? Is it true that Harry is fighting her for everything—even the dog? Lyssa's friends gossip about the neighbors while ignoring their own problems: infertility, infidelity, and eating disorders. The truth is, if the community's "perfect couple," Harry and DeeDee, can call it quits, what does that mean for everyone else? At least one of the rumors is true: to hold on to his children and his home, Harry, once a workaholic, realigns his life and becomes a stay-at-home dad. Touched by his efforts at trial-by-error single parenting, Lyssa befriends him, never realizing the effect their relationship will have on her close-knit circle of friends—or its explosive impact on her own marriage. Josie's previous novels are Impossibly Tongue-Tied and True Hollywood Lies. You can read excerpts of all her books on her website HERE. As a journalist, her celebrity profiles and articles on pop culture and lifestyle trends have appeared in numerous magazines and media outlets, including Redbook, Complete Woman and via the Los Angeles Times Syndicate International. 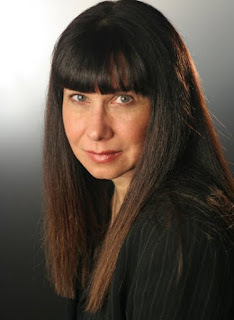 She is also the Relationships Channel editor at SingleMindedWomen.com. Josie lives in Marin County, California with her husband and two children. In this interview Josie talks about what inspired her to write her latest novel and shares some valuable tips and advice to those looking to get a book deal. What was the inspiration behind the writing of Secret Lives of Husbands and Wives? I wanted to write a "fish out of water" book. One plot that struck my fancy was that of a Master of the Universe who decides to change direction and become a stay-at-home dad. For most overachievers, the usual reason for doing so is widowhood -- very dramatic! -- or, as of lately, a layoff at work . . . But I thought a more interesting catalyst could be spousal desertion. And certainly ego: Harry, the jilted husband is out to prove that a father can also be a great "mother" to his children. This was always planned to be a woman's story. In fact, it is told in first person, from the perspective of a neighbor, Lyssa, who is watching the implosion of this planned community's "perfect couple." To her dismay, their breakup is providing titillating fodder for her social set. Her goal is to make sure that this new stay-at-home dad doesn't get lost in the Siberbia. Through the process, Lyssa comes to realize that there are many parallels between her marriage and his. "Last author standing." By that, I mean don't give up. While there are times you feel as if you're knocking your head against the wall, bottom line: if you aren't in the game, you can't win at it. But if you are going to make this your profession and avocation, study the craft. That's where a lot of aspiring novelists fall down before they even get picked up by a publisher. And yes, you do need an agent, if you want to stay in the game for the long haul, as opposed to getting in a situation where you have no advocate who can help you plan a career, as opposed to a book. I'd have to say (1) Margaret Mitchell.I read Gone with the Wind 13 times prior to the age of 16. It's a Southern thing, I guess. But now her phrasing and cadence permeates my own style. ); (2) Edith Wharton. She wrote of the women of that time and place and circumstances of their time with a piquant eloquence and great plotting. (3) John LeCarre. He doesn't write about spies, but about humans caught up in a dirty business and politics and love. He writes poetry as prose. I was very lucky. Fate dealt me a "who you know." Still, if you don't deliver, it won't get published. In my case: my husband and I had written a self-help book, self-published it, and sent copies to every friend we had. One of them, Emily Kischell, had just moved to New York and was working as an assistant to one of the biggest literary agents in the business. Seriously, we didn't really know that at the time, just that she had moved there. Turns out she loved the book, and handed it to her boss, Al Zuckerman, saying, "You have to rep these guys!' When he called, he said, "Your book just landed on my desk, and while I haven't read it yet, it comes highly recommended, and I'm looking forward to reading it this weekend." Me: "That's nice." (Heck, I didn't know who he was. I thought he was a book reviewer!) He: "You don't know who I am, do you?" Me: "Um...no, but by the next time we speak, I'll know everything about you." (Research is part and parcel of being a journalist. Unless it comes to knowing who your friends work for, apparently!) He: "I'm a literary agent. I represent Stephen Hawking and Ken Follett." Me: "Hmmmm...well then, I know you'll just LOVE what you read!" As it turns out, he did like it, at least enough to take us on. He didn't sell that book for us, but came to me with another project that he knew an editor wanted. It was a "chick lit" (that word is blasphemy now) dream dictionary. I spent the weekend writing a 4,000 page sample. She felt it was too tongue-in-cheek for her (!!!! Helooooo! Chick lit, right?) but we sold it to St. Martin's. Now that I had a taste of literary blood in my mouth, I wanted to sell fiction. I wrote the first five chapters of True Hollywood Lies, and it sold in a two-book deal, at auction. Whereas I had an interesting success early on, fate does play mean tricks on writers. You may have a great editor, but then she leaves the business, so you have no editor. Or you may end up with an editor who buys you on a whim, but doesn't really know what to do with you, so you languish. You can have a great agent -- for someone else, but not for you, if they don't naturally lean toward your writing voice. After all, your agent is your biggest cheerleader. If s/he in his/her heart can'tt sell what you want to write, put both yourselves out of misery and move on. Yes, you will find a new agent: hopefully one who gets your writing style and wants to represent you. A premise will come to me. I'll outline it fully: beginning, middle and end. This is very important to me. If feel that most of the writers I know who start with a great premise but don't know where it's going or how it ends usually end up with a project that never gets completed, or a book that befuddles the reader. I do pass the concept by my agent -- these days, my agent is Holly Root at Waxman Literary -- and if I get a good gut reaction, I know my idea is validated. I make sure she likes my two-page synopsis, and I also write at least fifty pages, so that she can hear the voice. She offers wonderful ideas on plot and character. Currently I'm working with a wonderful editor, Megan McKeever at Simon & Schuster. Editing is an integral part of the process. It's good to have someone who second guesses your characters' motivations. You want to leave your readers wanting more, and loving the depth of your story. Editors are also your advocates within your publishing house. You have to appreciate what you may not know or see of what they do on your behalf. Don't be afraid to ask questions of the process. Remember, you're on the outside looking in. They are part of your team -- and publishing is an inside job. Blowfish Sushi, on Bryant, in San Francisco. They are creative, the atmosphere is like a hip private party, and the management rocks. When you go in, as for Anna. Thanks, Josie! And best of luck with Secret Lives of Husbands and Wives! Love your comments about writing a book. I have been encouraged to write an e-book but I have been reluctant to do so. Your story encourages me to do it.